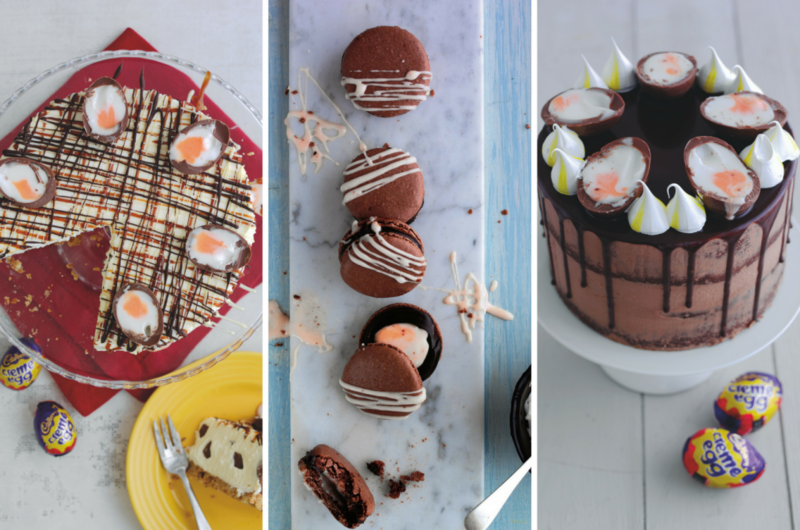 The Easter weekend is nearly here, and if you’re after some cracking Creme Egg dessert ideas then you’ve come to the right place. Slimming Worlders, apologies but you’ll have to look away unless you’re having a treat day – which I clearly will be!!!! Life is for enjoying, and I’ll be back in the Food Optimising game next week. Funky baker Georgia Green of Georgia’s Cakes has created a number of Creme Egg themed recipes, some of which were featured at the Creme Egg Camp earlier this year. So I thought it’d be fun to share them with you guys if you feel like getting your bake on over the holidays. 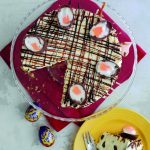 Let’s start with the cheesecake, the simplest of the three to put together so therefore the top contender if you’re in charge of Easter Sunday lunch this year. You can whip it up the day before and just have it ready to go in the fridge. Result! Line the inside of an 8 inch tin or springform ring with some acetate - this will make it easier to remove the cheesecake after it’s been set. Crush the biscuits into fine crumbs and stir the melted butter in. Pour into the cake tin and press around the bottom of the tin so the whole surface is covered and compact. Put it in the fridge to set. Chop 5 of the Cadbury Creme Eggs up into small chunks and set to one side. 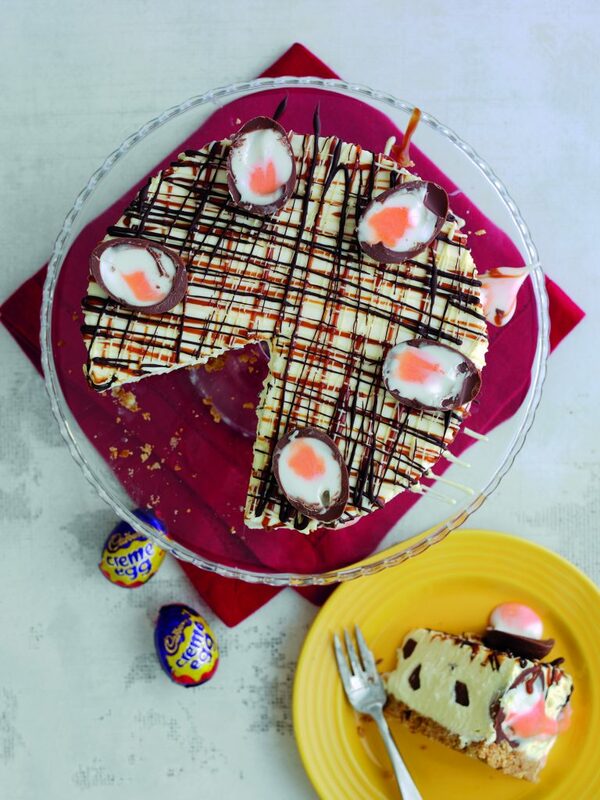 Cut the mini Creme Eggs in half - length ways and - arrange around the outside of the cheesecake. I love a drip cake, they look so stunning…. and the ooze factor is pretty irresistible. If you’ve got guests you want to impress, then this would make the perfect centre piece. Melt the butter and mix in the caster sugar. Then add the flour and vanilla and mix until incorporated. Divide equally into 2 x 6 inch lined cake tins and bake at 180°C for 30-40 minutes until they are cooked through. Leave to cool on cooling racks. Beat together the icing sugar, cocoa powder, butter and milk. Keep beating until the mixture is light and fluffy. Level each cake off on the top and cut both in half so you have 4 equal layers of cake. Make sure you save one of the ‘bottoms’ as the last layer. Spread a layer of buttercream onto one layer and place the second layer on top. Repeat on the second and third layer. When you get to the fourth, make sure the top layer is facing down so you have the flattest side on the top. Place the last layer on and encase the whole cake with buttercream. 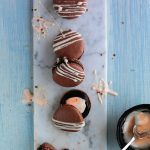 Heat up the cream and pour over the dark chocolate and mix until it’s melted through. Pour this melted chocolate mixture over the cake and push towards the edges with a palette knife. Let it gently drip down the cake. 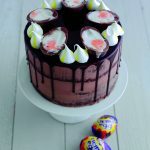 Use the leftover buttercream to assemble the top of the cake, placing 5 Cadbury Creme Egg halves on top alongside meringue kisses. 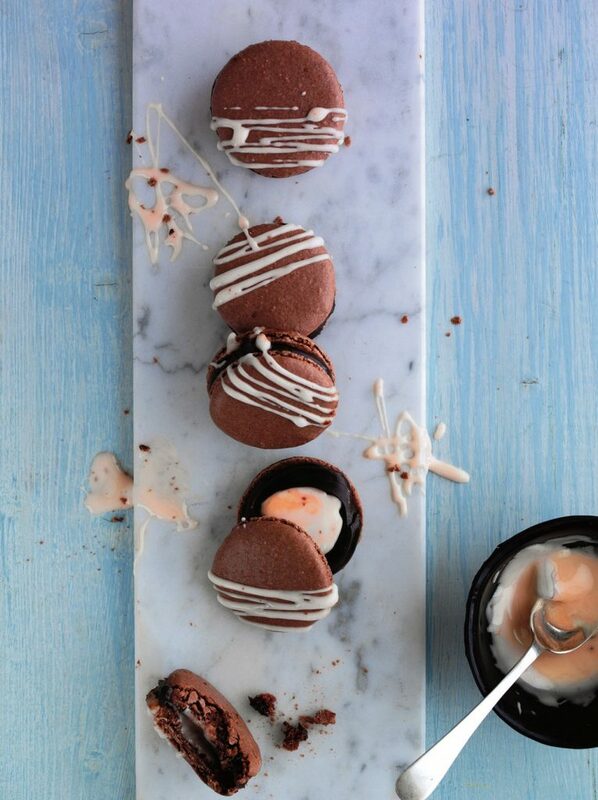 Macarons can take a little mastering, but they are well worth the effort. My friend Lucy of Vanilla Frost Cakes makes the BEST macarons, so I wonder if she’d rustle me up a batch of these?!!! Whisk up egg whites and gradually add sugar in stages. Whisk eggs until stiff peaks have formed. Fold the egg white into the dry mix in 3 stages. Fill a piping bag attached with a round nozzle. Line a tray with baking paper and pipe £2 coin sized circles, leaving about a 2cm gap in between each one. Leave for about 20 mins to skin. Turn on the oven to 135°C and bake for 10-12 mins. Pair up the matching macaron shells. 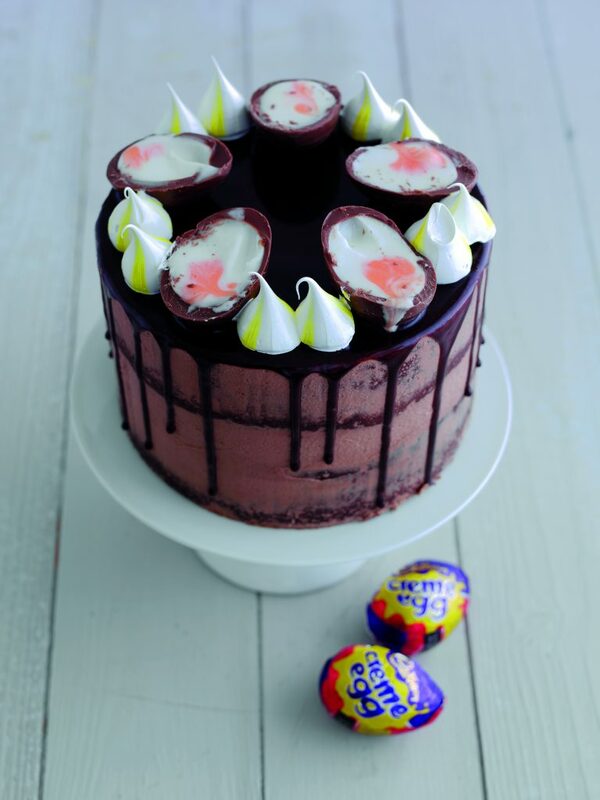 Place a piece of Cadbury Creme egg into the centre of one side of the shell, and pipe a ring around it with ganache. What are you making this Easter? Let me know in the comments below – I love hearing about your kitchen adventures. Disclosure – Sponsored Post: I have been compensated to create this post and share it with you on my blog. All views are my own! Oh I am loving this one. Looks so cute and delectable. I bet it tastes super delicious! Thanks for this recipe. Thanks Neha – so tempting eh!